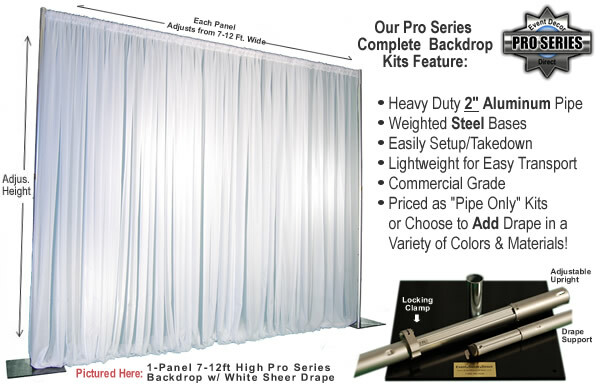 * Draping fabric available as an added cost. Please select the fabric type from the dropdown menu on the right. * : All sales are final on Velour, Banjo and Poly Premier drapes. 30 x 52" Wide Velour"
NOTE: Due to variation between manufacturing runs the locking collar on uprights may differ in color (silver or black). This does not affect the quality or functionality of the pipe. In rare instances, orders shipped to Canada may be subject to additional shipping costs. We will contact you if this applies to your order.